An impressive Bull Elk bugles loudly in a meadow of Horseshoe Park during the fall rut. Each fall, the elk migrate back down from the higher elevations of Rocky Mountain National Park to attract females and collect harems in order to mate. These bull elk will challenge other males not only with their size but also with their bugle calls which is sound that has to be heard to appreciate. 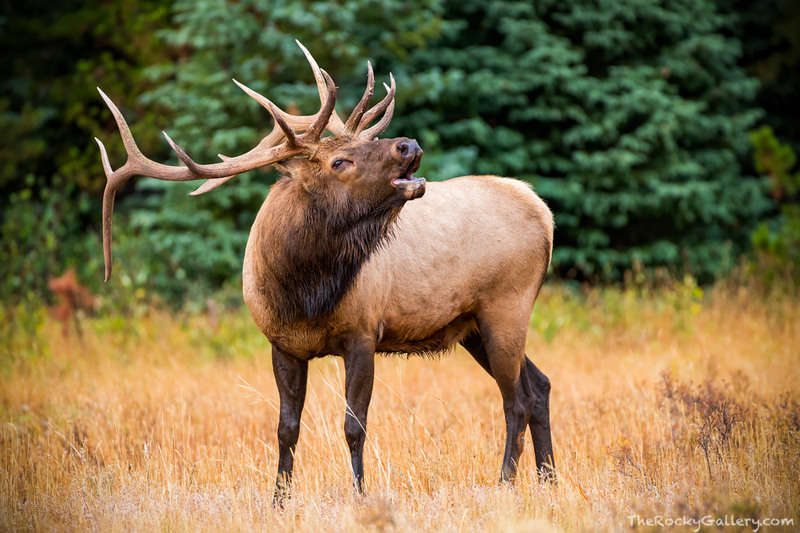 Like the howl of a coyote or the call of a wolf, the elk bugle is one of the iconic sounds of the American West. Photo © copyright by Thomas Mangan.